People from all over the world are constantly searching for alternative and natural ways to help treat their health conditions and disorders. They don't want to have to rely on modern health options, and who can blame them. Those treatments usually involve incredibly harsh and expensive pharmaceuticals, which often have even worse side effects than the actual issue they are supposed to alleviate. That is part of the reason why so many people end up turning to homeopathic remedies in an effort to naturally balance and heal their bodies, as well as their minds. One of the most popular and effective alternative treatment methods is hands down massage therapy. The simple act of applying pressure to various points on our bodies does wonders to dissolve away aches, pains, tension, and the built up stresses hampering our bodies. 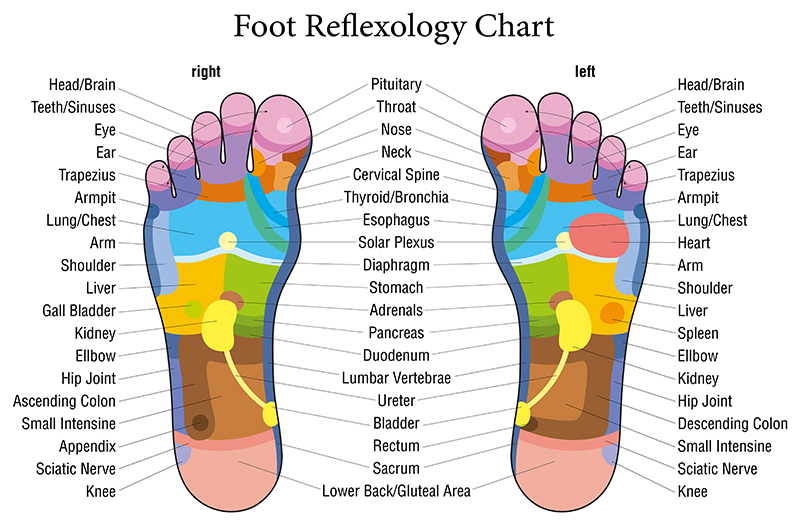 One form of massage therapy that stands out as particularly effective is reflexology. Reflexology is the stimulation of a reflex point to relieve and help regulate abnormalities between different body parts. By massaging and applying pressure to specific points located on either the hands or feet you can help bring about physical changes to your body. There are many different areas on the foot which correspond to certain body parts, so be sure to check out the included chart and video which map it all out for you to see. Reflexology works by stimulating the thousands of nerves in the hands and feet, thereby increasing blood flow. Human feet have over 15,000 nerves and they all connect to form a network that reaches different areas of the body, such as our main organs and glands. Many have found that by using the simple techniques at home they could dramatically relieve pain and discomfort caused by common ailments. People have relieved headaches, digestion issues, sleep problems, back pain, and even lessened the effects of both colds and the flu by massaging the touch points on the feet that are associated with the area in which the problem stems from. The treatments are incredibly simple and easy to do, but the best part about it is the fact that they're convenient and don't cost a penny if done in the comfort of your home. However, if you prefer or choose to, you can always go to a professional that has been trained in the ancient art. If you're hesitant or doubtful about whether or not foot reflexology could help you, try thinking about it like this; you have nothing to lose and potentially lots to gain by giving yourself a foot massage. At the very least you’ll feel more at ease, relaxed, and comfortable. Our feet go through a lot of abuse daily and we often neglect them. 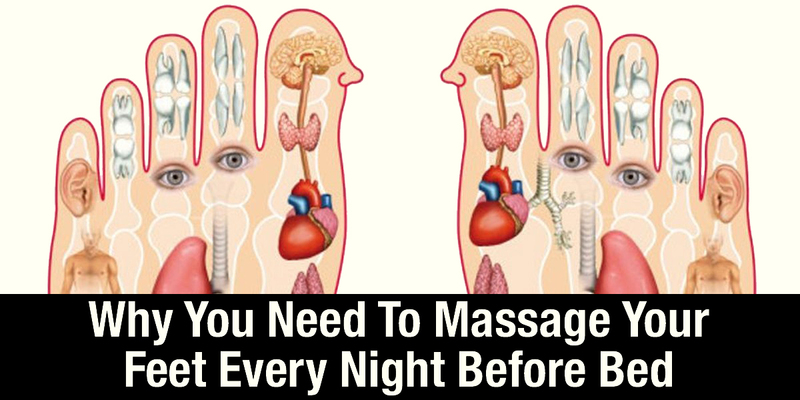 So tonight, when you're resting and done with the day, kick off your shoes, peel off your socks, and give yourself a foot massage! Doing this right before you go to bed will help you to relax, fall asleep faster, and sleep better overall. Try it tonight and share this with others to help them find comfort and better health in their own lives!